There’s no doubt Scotland has some of the best roads, and some of the best scenery in the UK, and there’s no better way to experience those roads than on two wheels. But if you can’t yet ride a motorcycle or scooter on the roads, don’t worry, we’re here to make booking and taking your CBT test in Motherwell quick and easy. Where Can I Take my CBT Test in Mothwerwell? We currently have one CBT test centre in Motherwell, with several others slightly further afield. Route 66 Rider Training are based in Flemington Industrial Park, just a short walk from Shieldmuir train station - so they’re easy to get to. Route 66 operate out of a purpose built training centre, designed to be safe and practical for new riders. Route 66 will provide you with a helmet on the day of your CBT, but you will need to bring your own gloves, jacket and over-the-ankle boots. Sturdy jeans are recommended. We also have three training schools in Glasgow, 10 miles from Mothwerwell. Harley’s Rider Training, based in East Kilbride, have been providing motorcycle training for over 20 years, so you can be sure you’re in good hands. BikeRite are based in Rutherglen Industrial Estate, close to Rutherglen train station. They have a large fleet of bikes to choose from, no older than one year old. 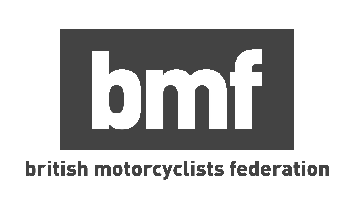 BikeRide use our Instant Booking system, which means the date and time of your CBT will be confirmed as soon as you checkout - you won’t need to wait for a confirmation call from the instructor. Alba Motorcycle Training Academy are based right in the centre of Glasgow, just a short walk from Bridgeton station. Despite their central location, Alba benefit from a spacious off-road training area. What Do I Need to Take my CBT Test in Motherwell? If you’re at least 16-years-old with a full or provisional licence then you will be eligible for the CBT test. You will also need a valid UK passport. You don’t need to worry about providing your own bike, or helmet, as the schools will provide these. However, not all schools will provide other items of equipment such as gloves and a jacket. If this is the case, you’ll want to take along the sturdiest clothing you have. Jeans are better than tracksuit bottoms, and boots that cover your ankles are recommended. Gloves are especially important - and motorcycle gloves are always preferred over thick winter gloves that offer no protection. If you don’t want to spend lots of money on motorcycle gloves, supermarkets such as Aldi occasionally stock protective motorcycle clothing at low prices. Check the weather the night before, as you may need to pack some waterproofs or extra layers. You don’t need to worry about passing your theory test before your CBT, but it will certainly help to brush up on your theory and highway code, as the instructor will ask you questions about the basic rules of the road. We’ve put together this guide to help you with road signs you might encounter on your CBT test in Motherwell.